Looking at the blog article list, I realised I did not introduced my lastest two shawl designs to you! The Jeune Pousse shawl has been created in collaboration with Lanae Tricot, for the one-year anniversary of this lovely new shop located in Grenoble. We wanted a BIG shawl as we both love to wrap in our shawls. And something simple but catchy. 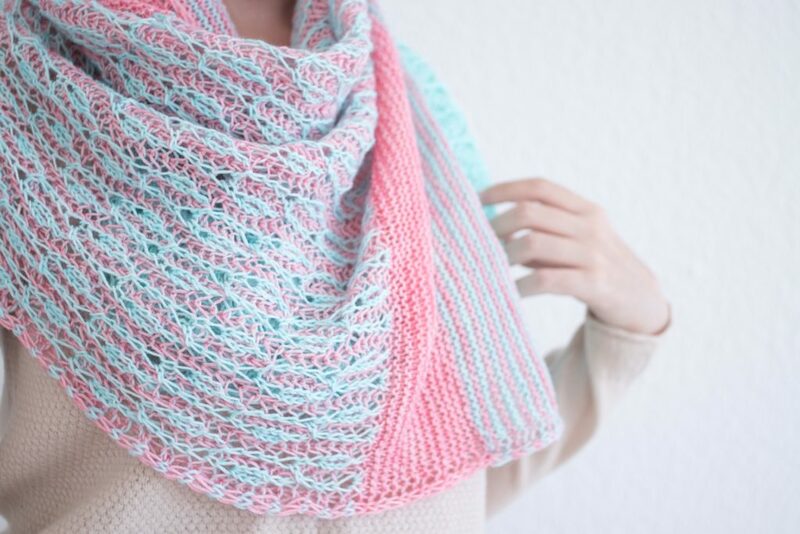 Well, brioche stitch is definitively catchy! But sometimes I find it too overwhelming and too “thick” or “heavy” (in lack for a better word to describe it). Mix it with a simple lace border and all your problems fade away! The pattern is available both on Ravelry and my e-shop. Lace knitting: basic increases, decreases, yarn overs. Brioche Knitting: basic brioche stitches, simple increases and decreases. Sample Yarns: Greta and the Fibers Socks Premium Chalky (75% Wool, 25% Nylon – 400 m / 437 yds & 100 g per skein), col. 729 (Flamingo Pink, MC) and 528 (Aruba Blue, CC). Needles: 4.0 mm / US #6 – at least 80 cm / 32” circular needle to knit the shawl. Other Notions: 2 stitch markers, tapestry needle. 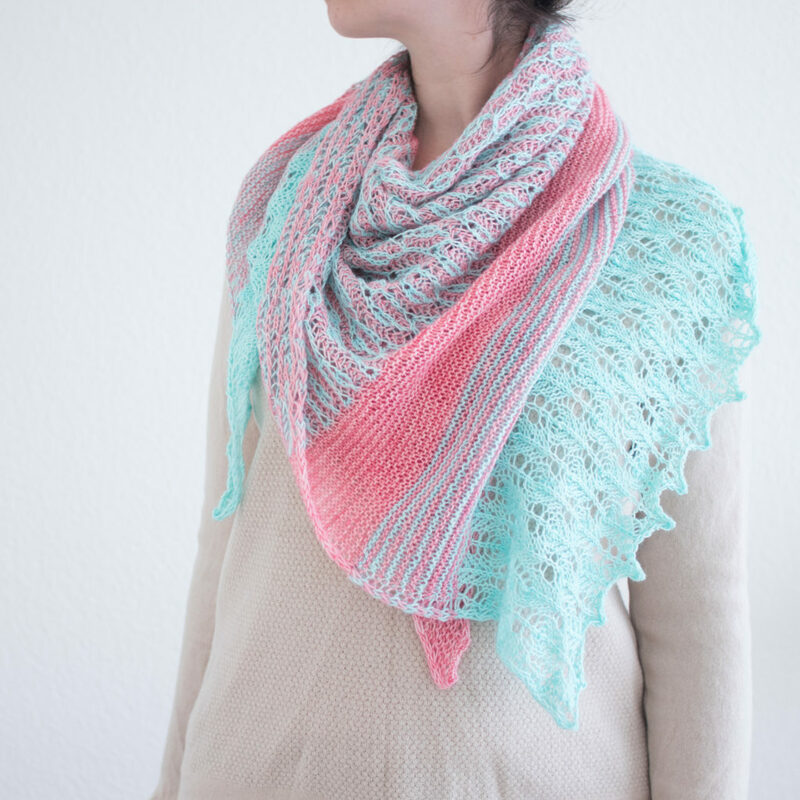 You can purchase the Jeune Pousse shawl pattern both on Ravelry or my e-shop. 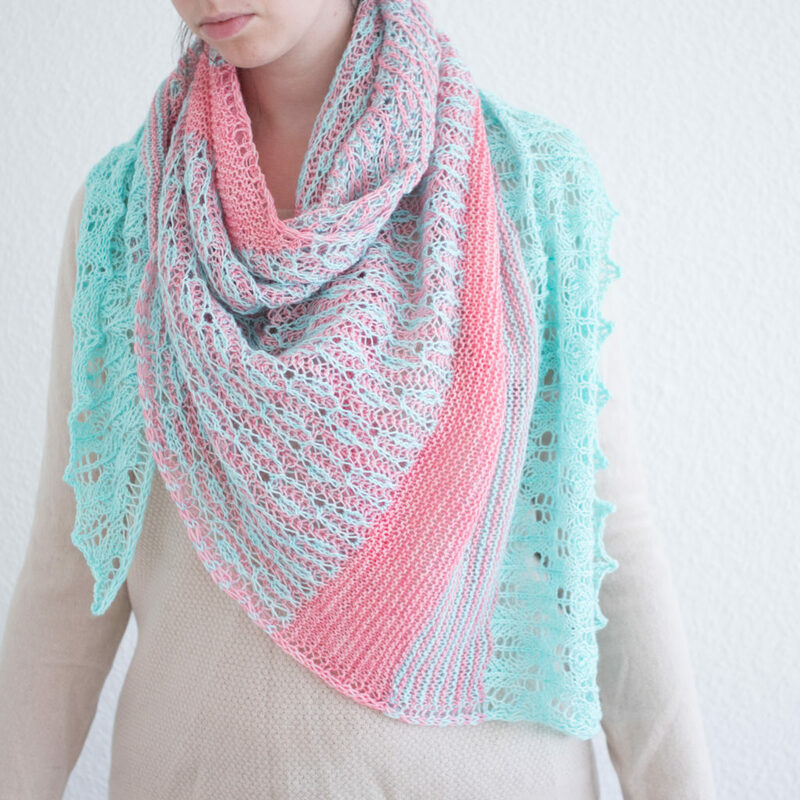 A few original kits may still be available on Lanae Tricot website here. You can order Greta and the Fibers skeins from her website here.